Kat Pearson writes about her experiences in the campaign to save Moseley Road Baths. When I do any event or post on social media for Moseley Road Baths (MRB), people will always talk to me about the pool being where their love of swimming began, or how their children and grandchildren are currently learning to swim there. This is part of what makes it such a special place. Although I love swimming at Moseley Road Baths, my experience of learning there has been a very different one. I’m a part-time student studying Conservation of the Historic Environment at Birmingham City University and I’ve been involved with the Baths for over two years. My involvement started with a project writing a Conservation Plan for an at-risk location. I chose Moseley Road Baths because it’s a beautiful Grade II* listed building which is significant to the city, and as someone who’s lived in Birmingham for over 10 years I’ve always loved swimming there. For me it was also really important that I worked on a building that was under threat but had community support and an active Friends group working to save it, so that my studies could hopefully feed in to that. After I finished my project I was asked to join the Moseley Road Baths Action Group. We are working as part of a coalition with the National Trust, World Monuments Fund, Historic England, and the Friends of Moseley Road Baths alongside Birmingham City Council to hopefully create a sustainable future as a swimming pool for Moseley Road Baths. I am now a director of the Community Interest Company (MRB CIC) that we’ve set up to enable us to take over swimming provision from the council next year, and am helping to lead on things such as social media engagement and fundraising especially for our Crowdfunder. Being able to be involved in such a high-profile campaign working with national and international heritage bodies at this stage in my career has been invaluable to me, and I have learned so much from working with so many skilled and enthusiastic people. I also didn’t envisage when I started thinking about future options for the building as a university project, that within two years I would be a director of an organisation which is hoping to run a community swimming pool! As our campaign to keep swimming at Moseley Road Baths continues, engagement with universities and colleges is going to be vital to its success. We are currently working with students from the ‘Ironbridge Institute for Cultural Heritage’ and the ‘Department of Film & Creative Writing’ at the University of Birmingham and they are bringing new skills and ideas to our group as well as allowing us to reach a different audience. We’ll also be looking to train and employ volunteer staff including lifeguards, and I hope that some of these will be students who can benefit from gaining experience in this amazing building as much as I have. If you’re a student (or if you’re not!) and you want to get involved please follow us on social media or get in contact via keepswimming@moseleyroadbaths.org.uk to find out how you can help. The biggest development has been the launch of our crowdfunder, which has been gathering real momentum since it launched earlier this month. At the moment we have raised 57% of our target, a whopping £7,706 which is completely indicative of the passion our supporters have for swimming, our community and the building. We always knew that you are a generous lot, but it’s been humbling to see the numbers steadily climb. Today a new timetable comes into effect at Moseley Road Baths – unfortunately some sessions have been cut or shortened, so do have a look at our Timetable page and if you aren’t sure then ring ahead on 0121 464 0150 to check session times. Meanwhile, a mob of un-named youths have been spotted outside the building, armed with…. litterpickers. Over the weekend the group descended on the front of the Baths and proceeded to spend several hours doing an intensive clean of the facade. Top work lads, it will be appreciated by swimmers, staff and passers by. For a steady feed of archive and recent images do follow us on Social Media, for news and events updates sign up to our mailing list. Or, if you just prefer to check in from time to time, we’ll try to be more consistent with posting up here and all of our Instagram feed now appears on our Gallery page. We are sorry to have to tell you but we have now been informed that the pool will not be re-opening on July 15th as had been hoped. 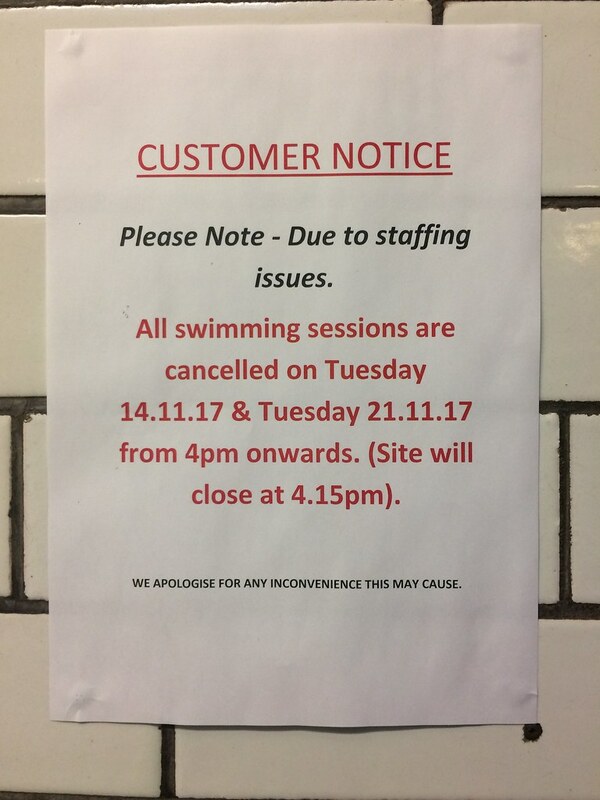 Following enquiries made by our Secretary, Rachel Gillies on Tuesday (later followed up with a ‘phone call to Councillor Martin Mullaney, BCC Cabinet member for Leisure, Sport and Culture), we understand that it will be a minimum of seven weeks (possibly longer), before the Baths re-opens. The latest problem relates to the need to strengthen and replace the scaffolding in the basement (we mentioned this issue in an earlier post, last month). BCC safety officers have now asked for a series of measures to be taken in the basement before this work can commence. Cllr Mullaney tells us that he expects these measures to be attended to in around one week, but that the strengthening work itself will take six weeks, hence the minimum seven week timeframe. One piece of good news however is that work on the new lintel over the door in Pool 2 should be completed this week, but with Tuesday marking exactly 6 months since the pool failed to re-open after the Christmas and New Year holidays, this latest failed deadline (the fifth, we think) is a serious blow and means that local children are likely to be unable to swim at MRB for most, if not all, of the summer holidays. We’ll keep you updated, but please check back here for further details…and do let your local councillors know how frustrating it is to have Britain’s most historic pool closed for yet another couple of months. We would welcome your thoughts on the closure, either via e-mail or by using the comments box below.